The single precedes Arash’s upcoming fifth album. “I grew up with Dr. Dre and Snoop Dogg’s album The Chronic. I would say that it’s one of the albums that I’ve listened to most,” says Arash. He approached the famous rapper with the track, and he agreed to record it. 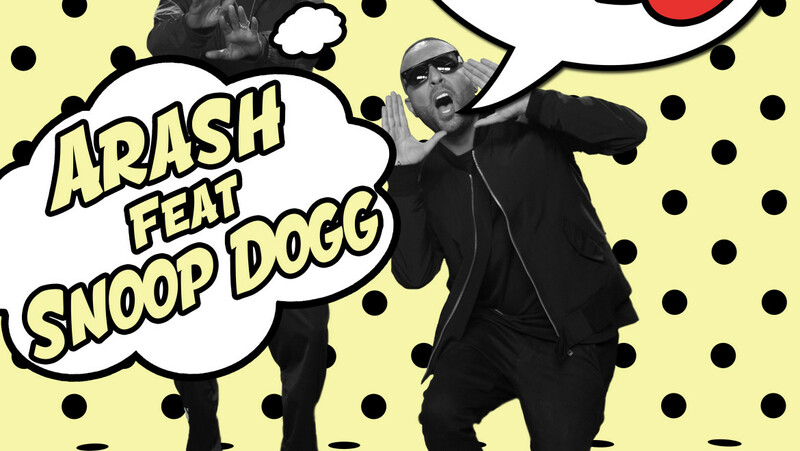 In an interview with news daily Aftonbladet, Arash recalls the intensive recording of the video where Snoop Dogg was more relaxed than his entourage. Née Alex Arash Labaf, the singer was born in Tehran, Iran in 1977. The 39 year old artist Arash debuted in 2005 with hits such as ‘Temptation,’ ‘Boro Boro’ and ‘Bombay Dreams.’ On his last album Superman, the singer collaborated with Sean Paul and T-Pain. In 2009, Arash competed for Azerbaijan. He sang ‘Always’ together with Aysel Teymurzadeh. It came third in the Eurovision Song Contest, which was held in Moscow. Alexander Rybak’s ‘Fairytale’ won ahead of Yohanna’s ‘Is It True?’ This year, he wrote the track ‘Kizunguzungu’ for SaRaha, which places fourth in the Swedish Melodifestivalen. He collaborated with the singer and Anderz Wrethov on that track.